Average 4.5 / 5 out of 26 total votes. Challenging Harry Potter’s magic, commanding the great Pirates of the Caribbean. Terminating the Terminator’s strength, tearing apart the Matrix’s Hallucination. Growing and hunting in the boundless universe. Breaking through boundaries in a mysterious space. Desiring evil, conspiracy and betrayer. Who can redeem what was already lost? In a battle of demons, who can leave an immortal legacy? 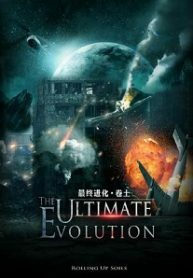 You’re reading Chinese web Novel “The Ultimate Evolution” on BOXNOVEL . Thanks!